Friday, January 8, 2016: 15 renowned researchers had a brief meeting at the headquarters of the Food and Drug Administration, invited by the current US Vice President, Joseph R. Biden Jr. The reason: to discuss an ambitious programme to encourage research into the treatment of cancer. The intention of this meeting was to seek the opinion of experts regarding the investigation of drug therapies for cancer. The project, whose aim is to make significant progress in oncology, is a revival of an earlier, failed project, which President Richard Nixon promoted during his tenure, known as "War on Cancer ". 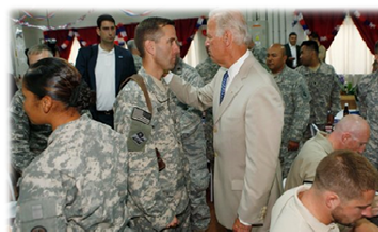 The current project, sponsored by Joseph R. Biden Jr, was presented by the current President, Barak Obama. It has been called "Cancer Moonshot 2015" and has an important emotional charge. (Vice President Biden's son, Beau, died of cancer in May 2015). The "Cancer Moonshot 2015" project, sponsored by the National Immunotherapy Coalition, which includes several multinational pharmaceutical companies, was initiated by Amgen and Celgene, and others like GlaxoSmithKline and Pfizer, are evaluating their possible integration, and some others, like Roche and AstraZeneca, have rejected the invitation to participate, at least for now (May 2016). The traditional design and development of clinical trials requires years of monitoring and evaluation. The aim of this coalition is to reduce the time (and cost) associated with these clinical trials. It is estimated that more than 20 treatments for cancer in more than 20,000 patients will have been studied by 2020. One of the people most directly involved in the coalition is the South African scientist, Patrik Soo-Shing, a multi-faceted man with one of the largest fortunes in the world. 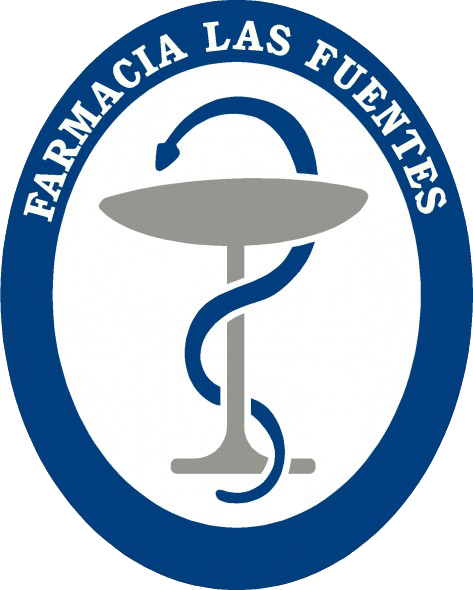 This surgeon contributed to the development of a new formulation of paclitaxel, marketed as Abraxane® by Abraxis Bioscience. He sold their patent of Abraxane® to Celgene for $ 2.9 billion. Incidentally, Patrik Soo-Shing is one of the owners of the Los Angeles Lakers basketball team. To boost the «Cancer Moonshot 2015» project, the current Democratic administration has had the acquiescence of the Republicans in the US Congress, and was allocated a budget of 264 million dollars to be administered by the National Cancer Institute. Harold Varmus, winner of the Nobel Prize for Physiology and Medicine, and director of the National Cancer Institute, said that the programme is not designed to achieve specific results in a given time. It differs in this respect from the "War on Cancer" program developed during the presidency of Richard Nixon back in 1971, when a cure for cancer was viewed under the simplistic criteria that "cancer is one disease". This concept is now considered outdated and overly reductionist. José Baselga, president of the American Association for Cancer Research and director of the Sloan Kettering Cancer Centre, said that cancer is much more complex than was thought four decades ago. Cancer, considered generically, is a very serious disease, with high mortality rates. One line of research is the application of genomic therapy, ie to decipher the sequence of the DNA in tumour cells, and to find the mutations that could explain the growth of the tumour. Another novel approach is immunotherapy: the pharmacological stimulation of the patient's own immune system to destroy malignant cells. Although genomics and cancer immunotherapy are intellectually very attractive ideas, the clinical results are, at present, limited. To try to circumvent the limited effectiveness of these drugs when they are administered as monotherapy, today, these two therapies are carried out in conjunction with classical chemotherapy in order to attain an additive or synergistic effect, in a similar way as to the tackling of the treatment of HIV infection; attacking the virus on several fronts simultaneously. Nowadays, the researchers persist in genomics and immunotherapy. Almost everyone agrees that this is the way forward. The additional funding will accelerate the ongoing research programmes and allow the initiation of new ones. Many investigations are conducted unnecessarily in several centres of investigation at the same time, and frequently the findings are not published and held back from public scrutiny in order to obtain greater revenues from their discoveries in the future. This circumstance has delayed possible breakthroughs; this being one of the issues that this ambitious project is addressing. An important advance in the fight against the cancer problem is that public and private health services, assume the high cost of genomic sequencing. Insurers want to see tangible results if they are going to foot the bill for the expensive sequencing of their patients’ genomes. Otherwise they might argue that they are already funding basic research. Some prestigious American Cancer Centres, such as Dana Farber Cancer Institute, Sloan Kettering Cancer Centre and Vanderbilt Ingram Cancer Centre, are using their own funds, along with other philanthropic contributions to pay for genome sequencing. These centres are reluctant to altruistically give away valuable information obtained during their investigations. The Association of Cancer Research has initiated a pilot study at seven medical centres to share information from more than 17,000 patients. An additional logistic problem complicates things: each research centre has its own protocols for archiving patient information, making it difficult to share the data collected. Besides, information about patients must be encrypted to ensure privacy. Almost every ten years, the US Federal Government resumes ambitious research programmes for the production of drugs against cancer. The earlier programme, designed in 2003, when the then director of the National Cancer Institutes, Dr. Andrew von Eschenbach announced plans to "eliminate the suffering and death caused by cancer by 2015", has obviously been a failure. During negotiations between Andrew von Eschenbach and Arlen Specter, Republican senator for Pennsylvania, a higher budgetary allocation was proposed in order to speed up the research process; in fact, the proposed 2015 target should have been attained by 2010, but that had proved unfeasible. Ironically, Arlen Specter died of cancer himself in 2012.